Bapurao Shingote, a city resident, received a call on his cell phone on April 2. 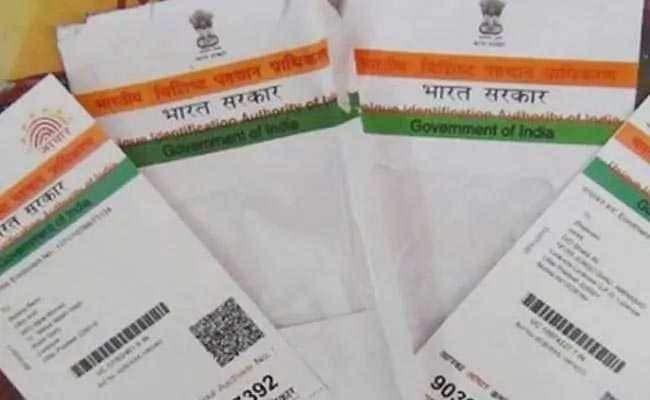 The caller told him that his Aadhaar number has been linked with his bank account, and sought "verification code" sent to his mobile number to complete the process. On the pretext of linking his account with the Aadhaar, Shingote found that Rs 75,000 had been withdrawn. Thane: Money was withdrawn from the bank account of a 71-year-old man by unidentified persons on the pretext of linking his account with the Aadhaar, the city police said today. Kopri police have registered a case under the Information Technology Act and relevant sections of the IPC. Mr Shingote gave the number which he had received through a text message. Soon he found that Rs 75,000 had been withdrawn by unidentified persons from his bank account. Banks often send One Time Passwords (OTPs) when money is transferred online. The transaction is completed when the OTP is typed in. Police have yet to zero in on the culprits. Further probe is on.